Frans Theuws and Femke Lippok visited our German colleagues in Freiburg to discuss about militarisation as an alternative driver of change in the early middle ages. 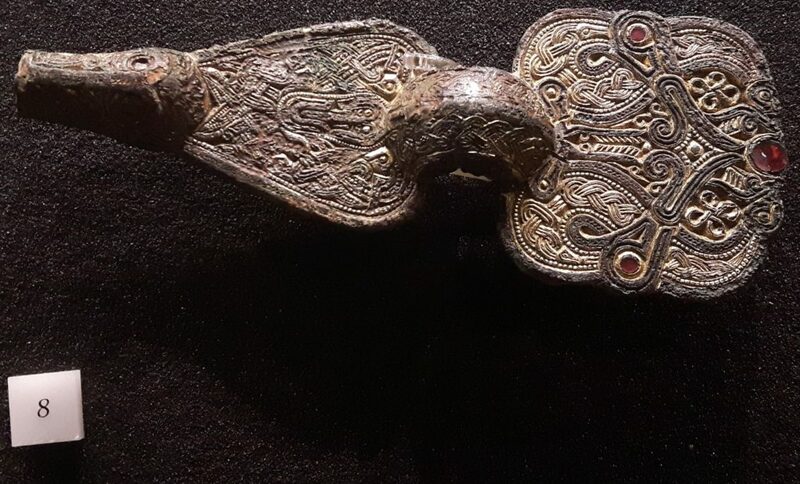 The conference was held 28th-29th of November, contributions varied from topics like Viking marching camps in the UK to late roman weapon burials in southern Germany. In addition, a visit to the Colombischlössle Archeological Museum revealed an unexpected treasure trove of early medieval grave goods in the museum’s basement. Some of the incredible artefacts are displayed for you below. Well worth a visit if you’re in town. Small string of beads from a grave in Hüfingen. 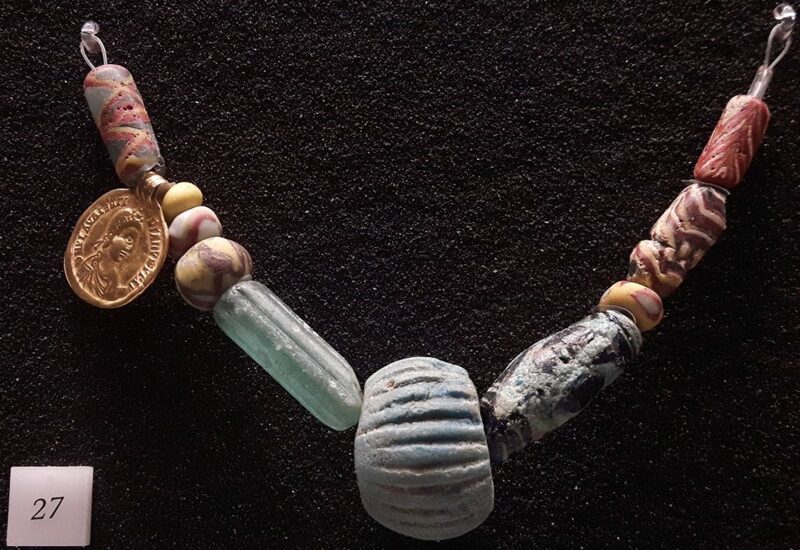 It includes an amber bead (first one on the right side) displaying special decoration techniques similarly found in grave 247 of the Maastricht Vrijthof cemetery (Langbroek 2016, 112). Gilded bronze fibulae from Neudingen. On the back, an inscription in runes reads: “In the middle, I hold the garment together“. 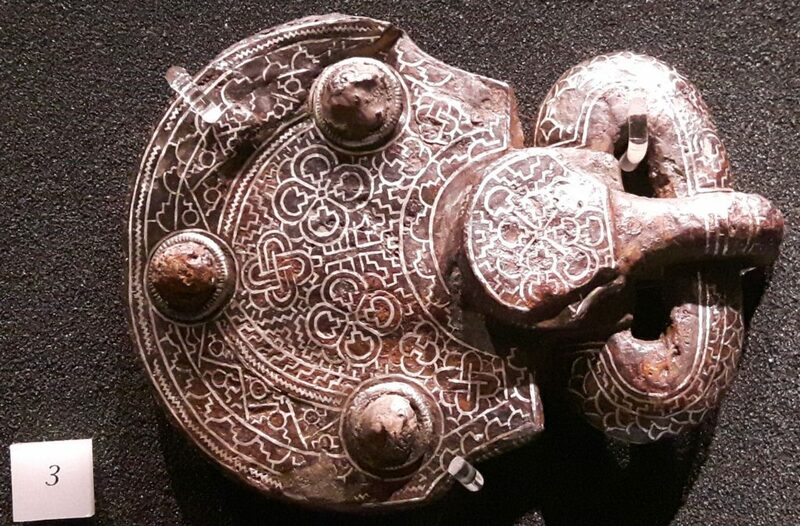 Silver inlaid buckle from Hüfingen. The small mushroom-motive hints at a date in the 7th century.